Green Car Journal has selected the 2015 Honda CR-V and the Honda Fit’s 1.5-liter Earth Dreams Technology engine as finalists for the publication’s annual Green Car Awards. 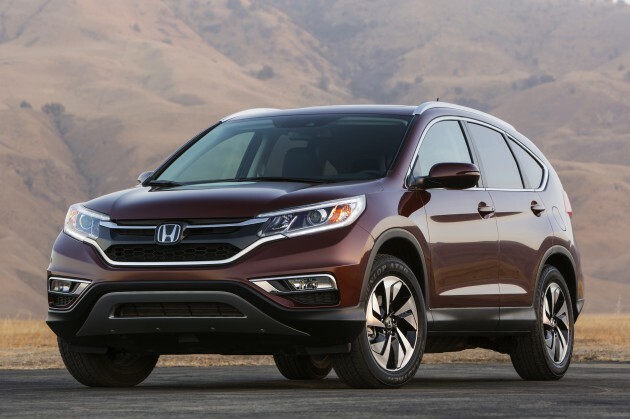 The CR-V is one of five finalists for the 2015 Green SUV of the Year award, while the 1.5-liter Earth Dreams Technology is a finalist for the 2015 Green Car Technology Award. The 2015 CR-V received a new direct-injected Earth Dreams Technology i-VTEC engine and continuously variable transmission as part of its mid-cycle refresh, which helped significantly improve the model’s fuel economy ratings. Front-wheel-drive 2015 Honda CR-Vs have EPA fuel economy ratings of 27 mpg in the city, 34 mpg on the highway, and 29 mpg combined, while all-wheel-drive models have a slightly lower 26/33/28 mpg rating. The Honda Earth Dreams Technology 1.5-liter engine, found on the 2015 Fit, can be paired with either a six-speed manual transmission or a CVT. The innovative powertrain helps the Fit achieve class-leading fuel economy ratings. The Fit LX trim with manual transmission has ratings of 19 mpg in the city, 37 mpg on the highway, and 32 mpg combined, which improve to 33/42/36 mpg with the CVT, and to 32/38/35 mpg for EX and EX-L trims. The winners of the Green Car Awards will be announced at the 2015 Washington Auto Show, which begins this Friday, January 23rd, in Washington DC. Honda will also be displaying its FCV Concept at the show.